My project this weekend was to help my mom and sister’s at the town of Durand ,Il. Garage Sale. I believe there were 17 homes in and around town that opened there garages up to the public. Many of the people that stop knew my mom and stop for coffee. Where is Durand, Il. and why would anyone want to go to this small town in the middle of no where. A little History on Durand, IL. Its township’s beginnings initiated originally in a no longer existing settlement called Elton, an area South of Durand and including parts of the Pecatonica and Rock Run townships and settled in 1835 by Nelson Salisbury, Harvey Lower, and Scott Robb. 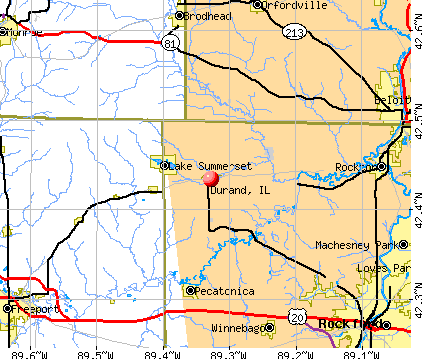 They and nine other families settled the Southwest portion of modern Durand, Pecatonica, and Rock Run area. Durand gave birth to Illinois’ first tax-supported volunteer fire department. Since its settlement, Durand has been prone to devastating fires. Durand’s early flourishings were closely linked to the development of the Racine-Mississippi Railroad later absorbed into Western Union. The line reached Durand in 1857, en route to Freeport, paving the shift from the Elton community into modern Durand and deriving its name from the railroad’s first president, H.S. Durand. At this time, Durand saw the beginning of its prosperity which entailed the demise of the Elton settlement. A little history on the town of Durand and why people settled in this small town. My grandpa had a milk farm right out of town and my mother, her sisters and brothers went to school here. Many of the kids that grew up in this small town didn’t move far. After John died she moved back to this small town where she grew up and knowing much of the people in town. But this weekend everyone got together, Connie, Leslie, Mom. Aunt June and ME! My sister Connie set up everything for this great weekend, prices everything friends and family drop off for only $.25. Everything at the garage sale was $.25. Connie had fun talking and meeting all the people that showed up, some would ask for mom and she would invite them in for coffee. So from my point of view sitting back and watching everyone was having a good time. I was surprised on how many men showed up, and not asking for tools. But buying things women would buy. Plus the husbands that came with they wifes would just stand there and watch the women shop. This was suppose to be a sister’s weekend selling, my one sister Connie had everything under control, Leslie showed up for MOORE support. Now when we saw the weather report for Saturday it didn’t look like the weather was going to let this work out for us! And it didn’t are doors were open by 8 a.m. and closed by 10 a.m. This rains took over. I have to say a lot of people did show up on Friday and we did pretty good.